Has This Tunnel Been Breached? Once I installed EtherApe on my Debian Thinkpad I began noticing some internet providers allowed the vpngate tunnel to be breached. (see image1) Voxitity.net had it's own HTTPS at this provider and the last provider, too. Going back a month ago I turned off the IVP6 because my downloads were showing up going through the vpngate tunnel and then jumped to another part of EtherApe to show the download continuing between two IPV6 addresses, which really looked like a bad breach. 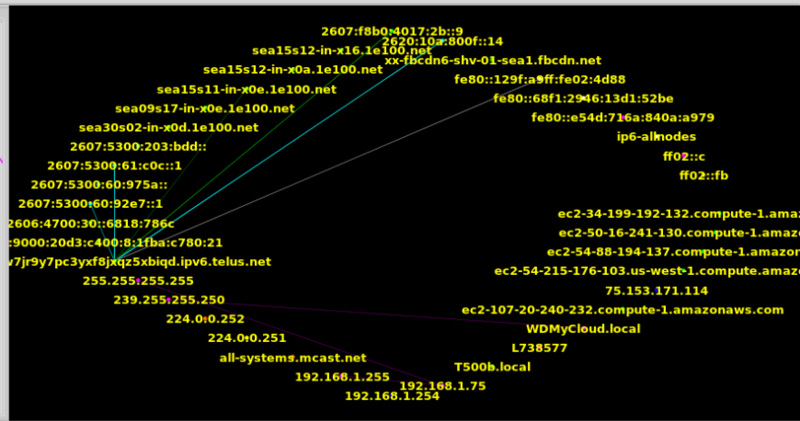 I used the linux command to stop ipv6 on the old laptop so only ipv4 worked and the "breach?" stopped and data flowed only through the vpngate tunnel. Re: Has This Tunnel Been Breached? So I made a post of theis same situation from a different router, but the post failed. So Here is another. 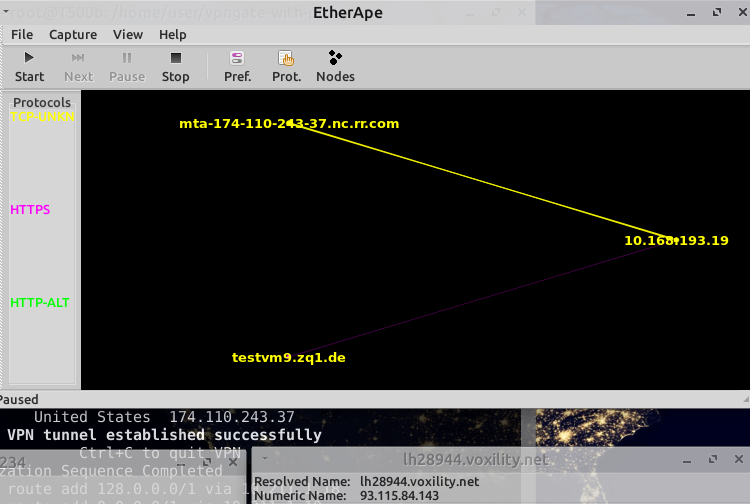 but I think I will get the input from EtherApe to see if thier software has a display problem drawing the link to my router-ip rather than to the end of the tunnel.